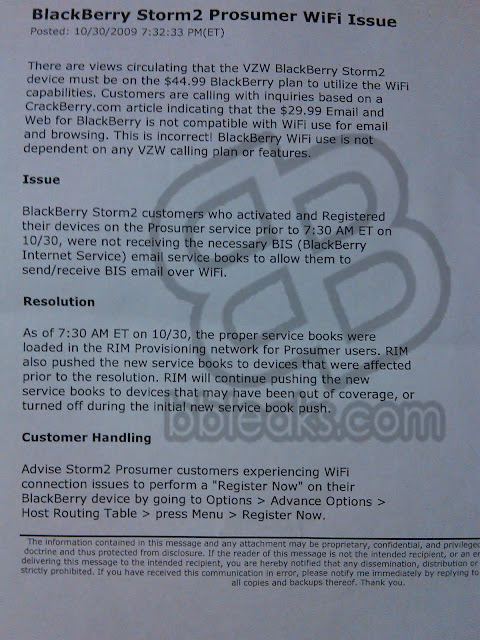 Just got tipped by one of our Verizon ninjas that they have been flooded with calls about the BlackBerry Storm2 Wi-Fi not working. Apparently, CrackBerry must have speculated that Storm2 users had to have the highest data plan of $44.99 in order to use Wi-Fi. The image above from Verizon Info Manager, describes how the Wi-Fi feature is not dependent on their services.